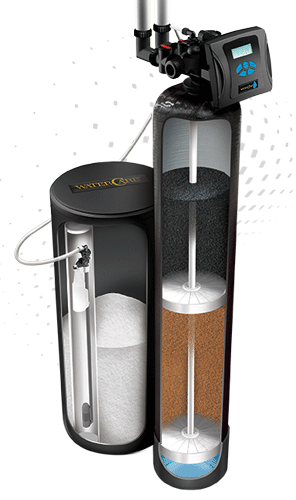 I removed my old water softener and installed the caresoft elite rc system 3 years ago and i used less then half the salt and the water taste so much better. I had this installed in October and love it! I love that it is based on water use and only regens every 14 days or so. Amazing! So happy with this product. I would recommend to anyone! The water is so soft and chlorine free! A Water Filter and Water Softenr In one! wow!! This system barely uses any salt compared to my old one and it alerts me on my phone when I am running low on salt! So simple and it looks great! I love my Caresoft Elite, I get soft water and no longer have the swimming pool smell! Amazing softening system that also helps to filter the chlorine out of my water. Feels great on my skin and I can definitely see the difference in the amount of soap and detergent I need to use! Amazing softening system that also helps to filter the lead and chlorine out of my water. Feels great on my skin and I can definitely see the difference in the amount of soap and detergent I need to use! The water is so soft and chlorine free! 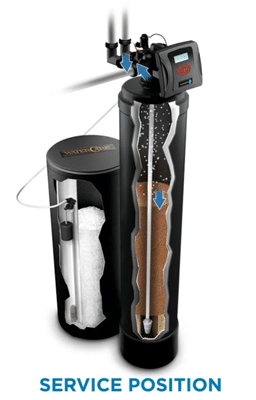 A Water Filter and Water Softenr In one! wow!! This system barely uses any salt compared to my old one and it alerts me on my phone when Iâm running low on salt! So simple and it looks great! Leave a review for CareSoft Elite RC! Why purchase two water softening systems when CareSoft Elite RC® offers double the efficiency? 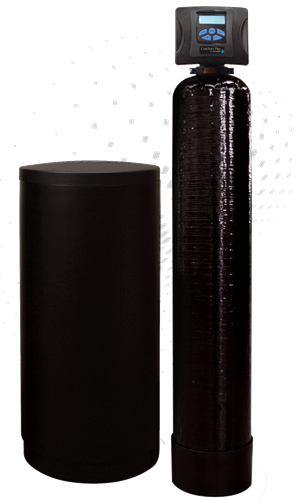 Its split tank technology combines high-performance media with activated carbon all in one tank. This environmentally friendly system is the ideal solution, effectively protecting household plumbing, providing great tasting water, and eliminating city water odor. The Elite RC® system delivers the clear, soft, odor-free water you want and deserve. To learn more about this system, contact your local dealer today! Municipalities are responsible for making sure your water is safe, doing so by adding disinfectants like chlorine. Once the water reaches your home, these disinfectants are no longer needed. Also, it is important to be aware of the elements cities don't remove, like calcium and magnesium, which produce hard water and mineral buildup. Choose a system that does more, a system that assures safe, clean water for your family, a system that filters out odors and contaminants. Choose the CareSoft Elite RC® system!